@alek_andra is on Carousell - Follow to stay updated! 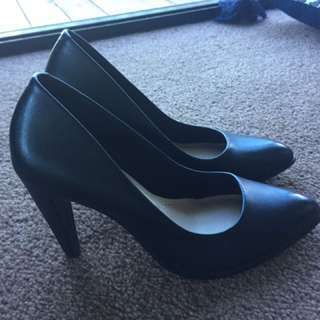 Pulp Black heels, size 7, fabric top, looks like suede. 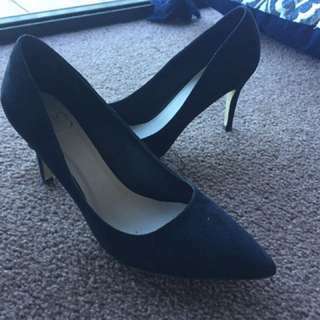 Bought urgently for the conference, worn only once, so still in a very good condition. 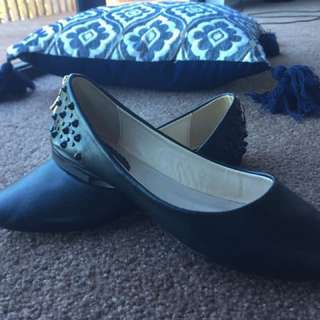 Selling because the heel is too short for me and the size is slightly big. Black classy heels, genuine leather, very good quality, with padding insoles. Size US 7.5, which is bigger than my usual size, so worn only once and realised it's too big, so decided to sell. Bought for about $150.